Biologist Ricardo Cardim and photographer Cássio Vasconcellos spent the last three months traveling together to the states of Santa Catarina, Paraná, São Paulo (both coast and countryside), Espírito Santo, Bahia, and Alagoas searching for the Atlantic Forest's last giant trees. To find them, the duo used the help of historical records, botanists with field experience, employees of parks and reservations and even tips from social media. Botanist Luciano Zandoná was also involved in all expeditions. The collaboration worked: the group photographed 90 specimens. Cardim's absolute favorite is a fig tree, the largest of its kind known in the Atlantic Forest. It is 131 feet tall and 69 feet wide, and it is located in a reservation called Legado das Águas (Legacy of Waters), owned by private company Votorantim, in upstate São Paulo. The biologist says it was a surreal experience to find such a tree only 56 miles away from the capital São Paulo, after hiking through seven miles inside the reservation. Another - literally - great find was the second tallest tree in São Paulo state, a jequitibá-rosa (pink jequitibá) also over 131 feet tall, known as the Matriarch. The name comes from the fact that it is near Brazil's oldest tree in the record, another jequitibá-rosa known as the Patriarch. which is thought to be 3,000 years old. 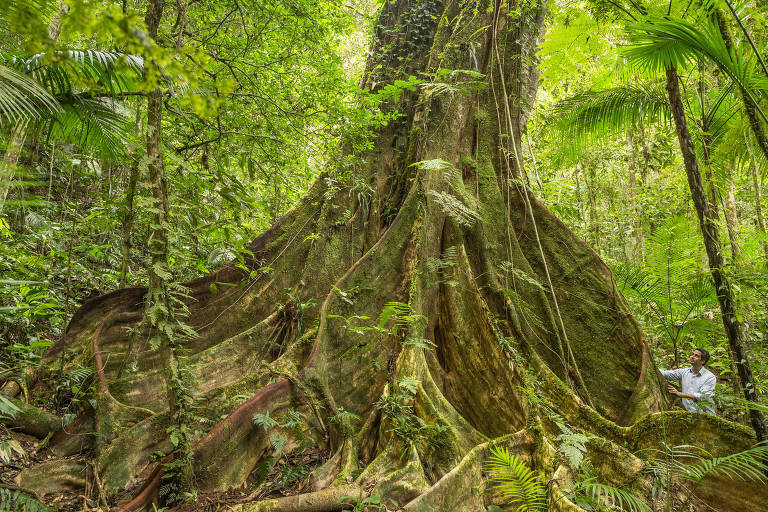 The third place goes the tallest Brazilwood in the country, a specimen 82 feet tall. The tree that gave Brazil its name started to be cut down with the arrival of Portuguese explorers and at a certain point was considered extinct.